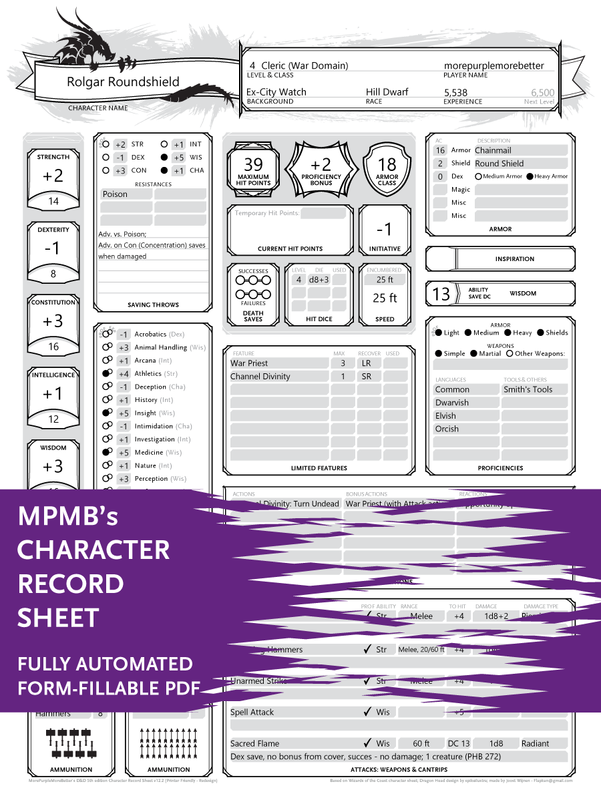 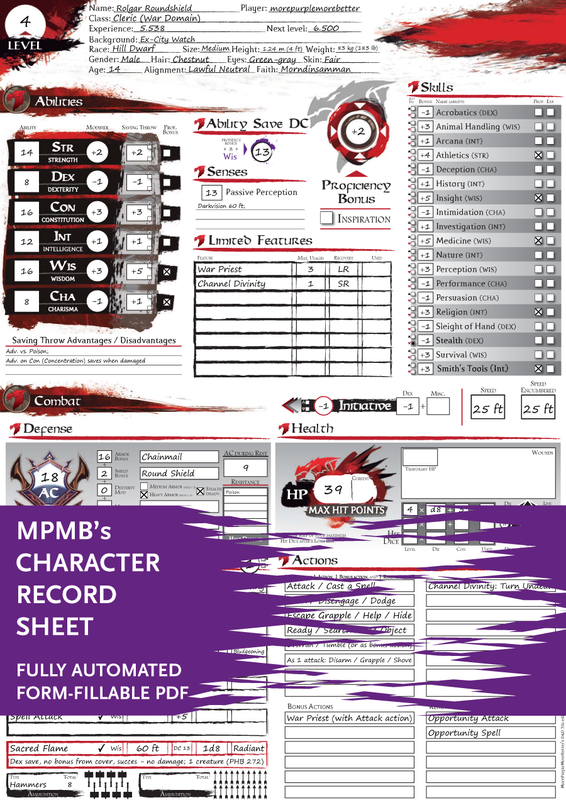 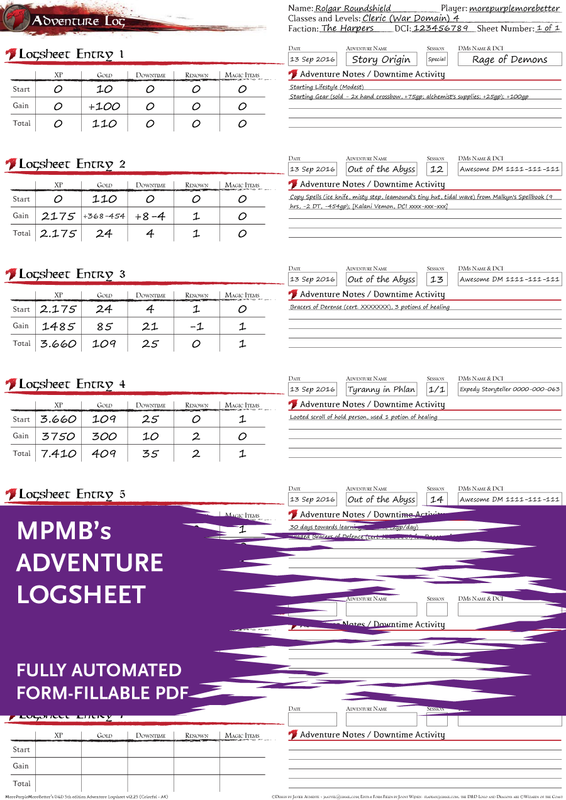 MPMB’s character tools consist of several form-fillable PDF documents that try to automate everything that a player of 5th edition Dungeon & Dragons needs. 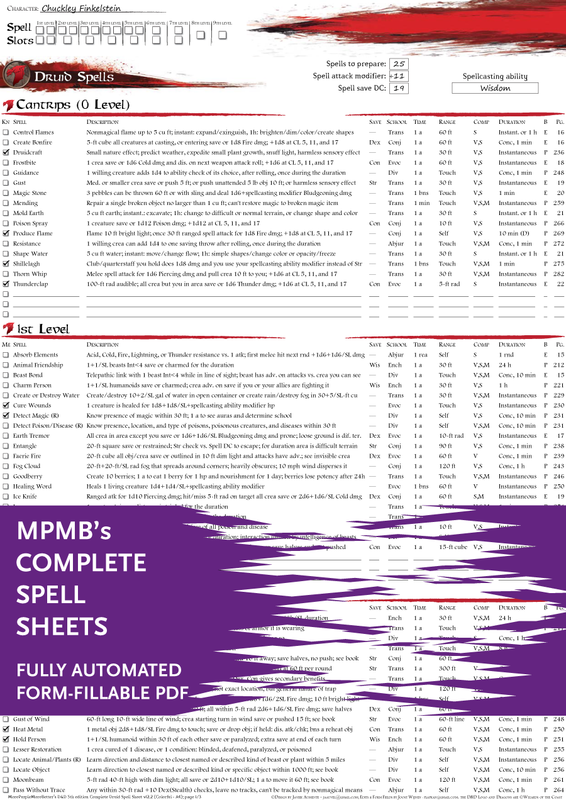 Click the images below to get the sheets from the Dungeon Masters Guild website. 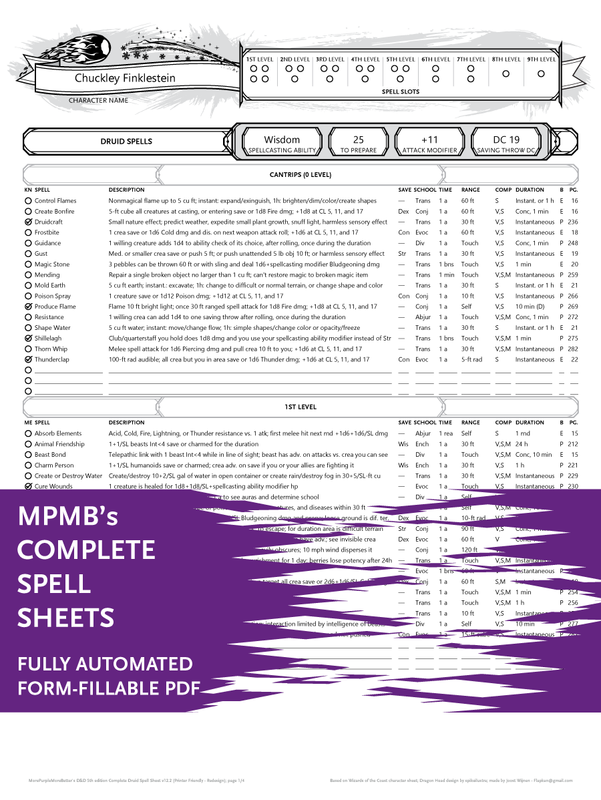 They are available as ‘Pay What You Want’, so feel free to pay nothing for them and check them out! 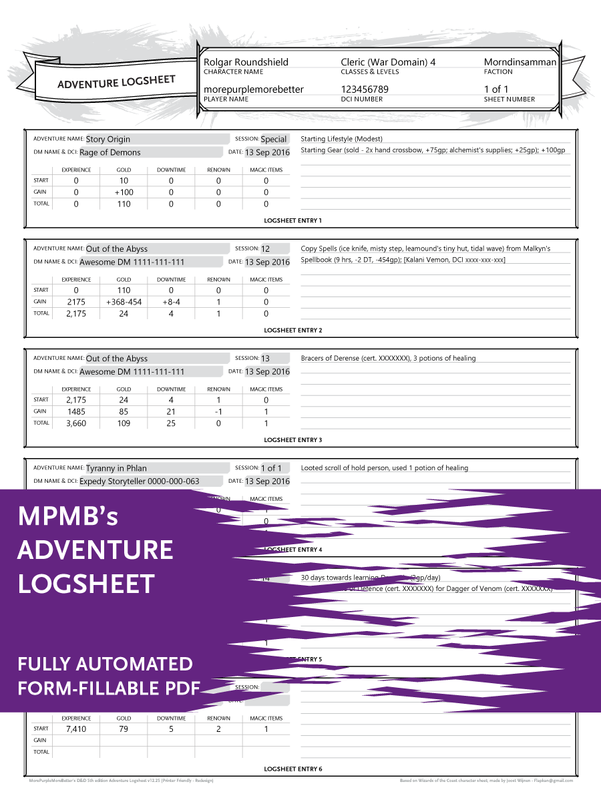 Flapkan Productions is a one-man company specialised in fully-automated PDF solutions.